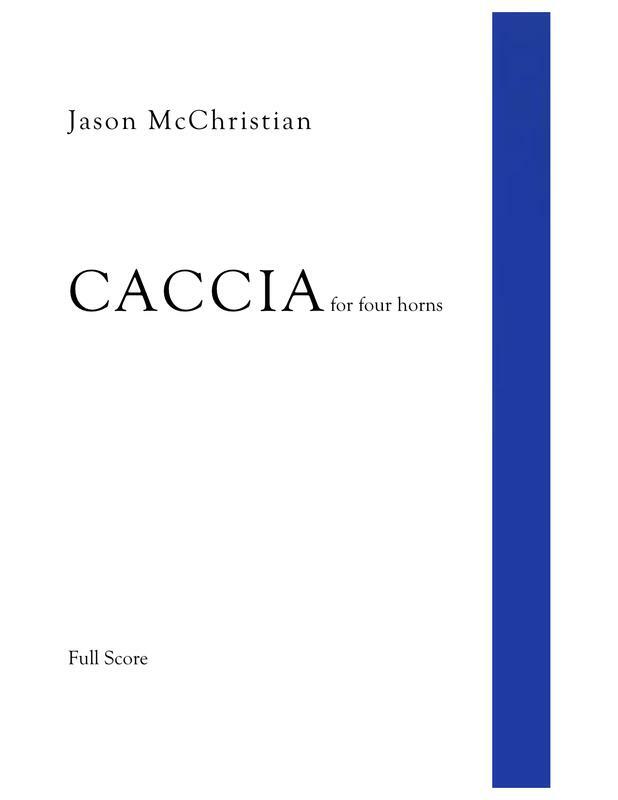 Caccia begins with a short fanfare figure sounded by each player at different times. As the piece progresses, the figure is varied. 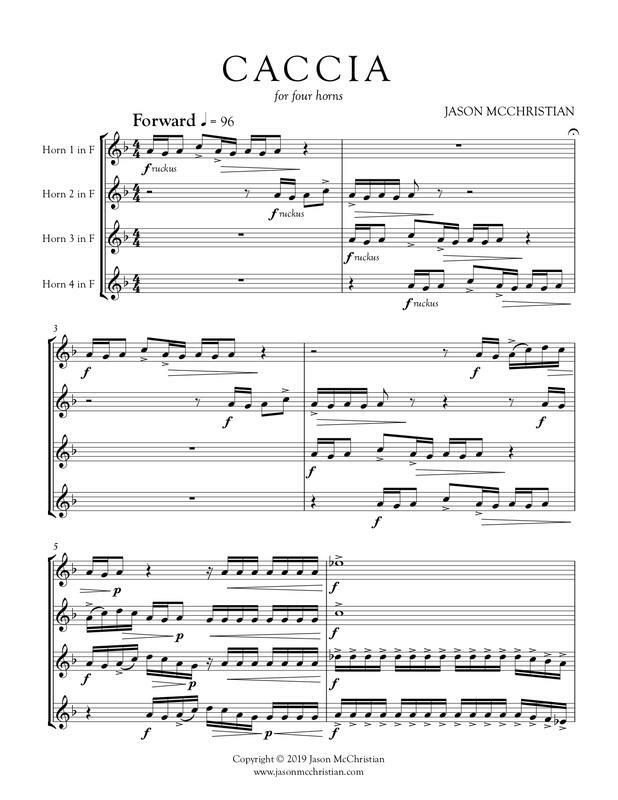 The music moves to a dance variation set in the style of a jig-like dance. After the dance reaches its final statement, the music transitions back to the opening fanfare.